Learning Goal: Students will understand the social and political events that led to the Civil War. 1. Fabulous folder check, assignments #13-27. 1. 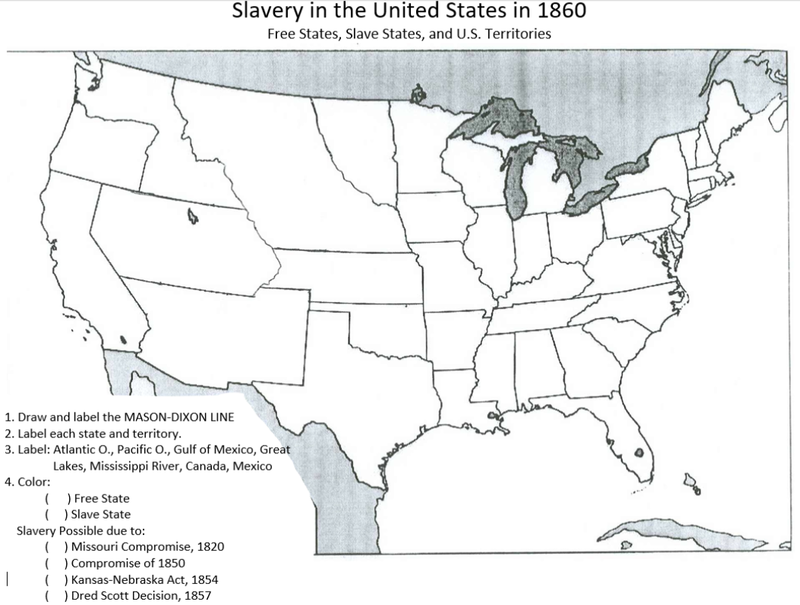 Video: "Slavery - Crash Course US History #13"
2. North and South Matching Game. identify if it is an image of the North or South and match it to its corresponding placard of primary/secondary sources (A-H). describes what information in the placards matches the image. Make sure that you use information from both sources on the placards. You will do this in a group. ​Each student will be responsible for writing statements for at least 2 images. However, you whole group will receive one grade, so you need to proof read your groupmates' statements. Test on Tues/Wed 4/16 & 17. Reform Movements and North & South. Here is a study guide. ***Test on Tues/Wed 4/16 & 17. Reform Movements and North & South. Here is a study guide. ​ The video is on youtube and Amazon Prime. Stop at 20 minutes and answer these three questions. A. 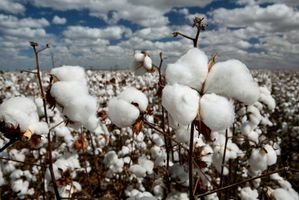 The King of Cotton: Read the article and answer the questions. B. African Americans in the South and North: Read sections on pages 366-368. Create a Venn diagram or 3-T-chart that compares and contrasts the lives of free and enslaved African Americans. 3. The North #25 limited time to finish and review. A. 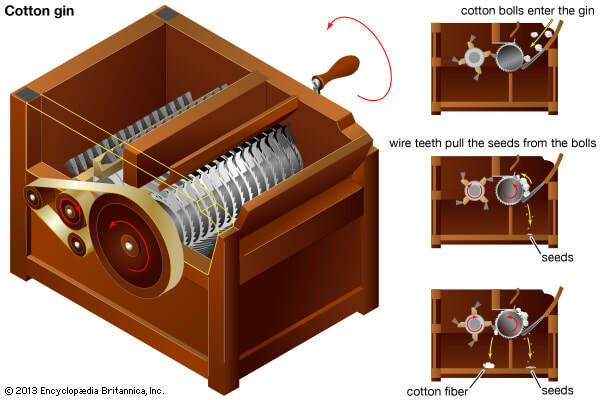 The King of Cotton: Read the article about Eli Whitney and the cotton gin and answer the questions. * What's the box about? 3. Explain how the industrial revolution impacted the manufacturing of goods, especially clothing. 4. Explain how machines made agriculture more efficient. Give at least 2 examples. 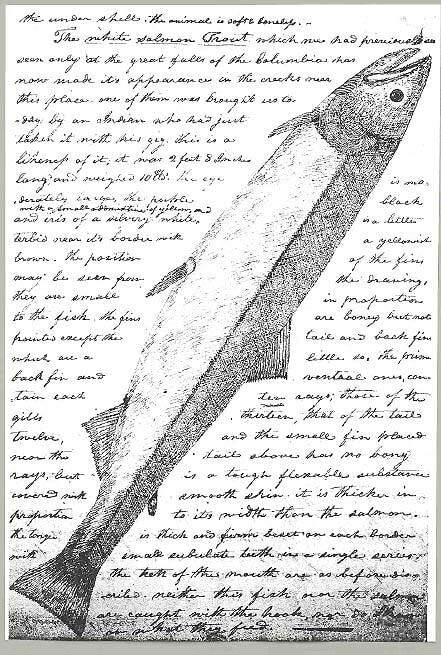 Read “The Mills Girls of Lowell” pages 370-373. 5. Describe the Lowell Mills. 6. Describe how this mill system impacted women. Give at least 3 examples. 7. Why was a better system of roads, canals and railroads important to northern industrialists? 8. Explain the significance of the Erie Canal. 9. Describe the push and pull factors that led to a large number of Irish immigrants settling in northern cities. 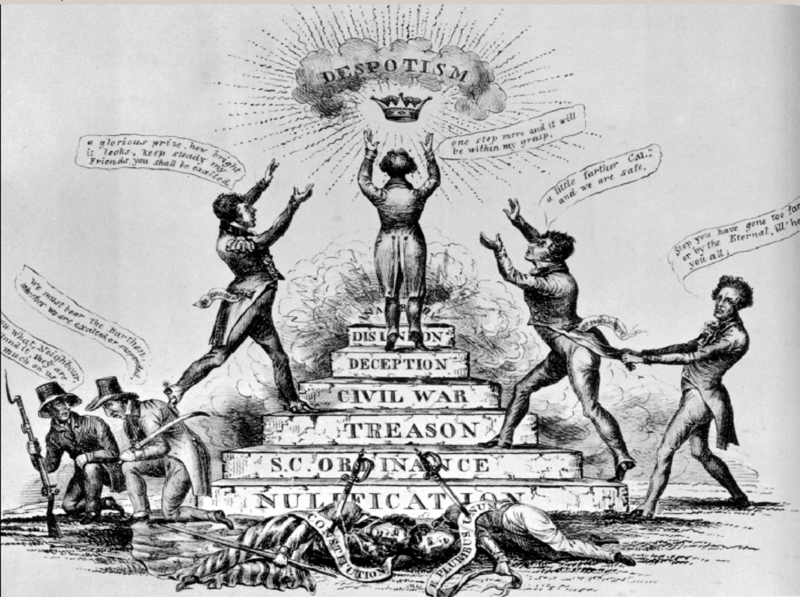 Learning Goal: Students will understand the impact of reform movements in the early 1800's. Read “1. Geography of the North” and "2. Geography of the South" on pages 356-357. A. Describe the climate and physical features of the North. Include at least 4 details. B. Describe the climate and physical features of the South. Include at least 4 details. 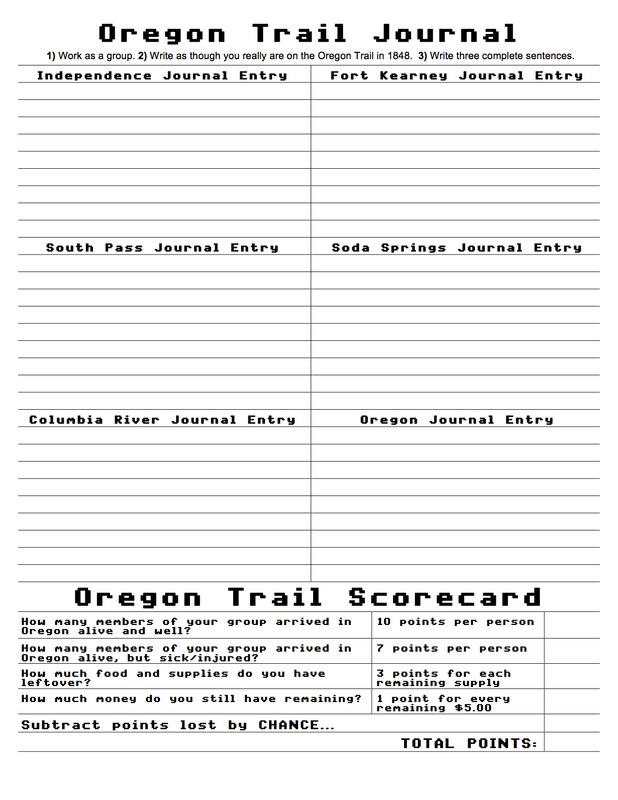 Set up your paper with 2 t-charts, one of the front and the other on the back. Label the front side with reform topics 1 and 2 and the backside with 3 and 4. 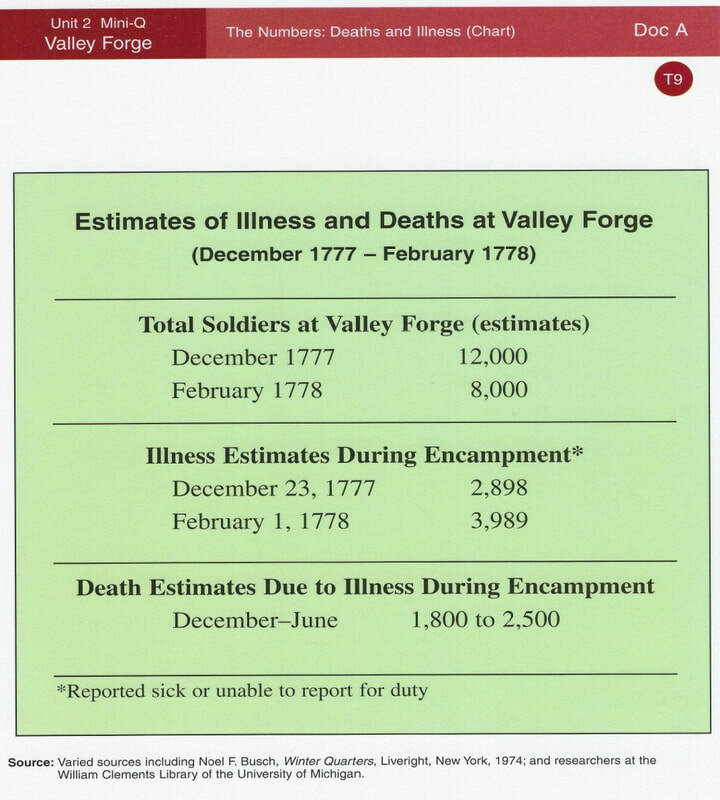 ***If you are absent, you can find this information in History Alive chapter 18. 2. FINISH Reform Movement Posters.​ You have no more than half of the period. Use the maps below to help you color and label your map. Label each state and territory. 3. work on Reform Movement Posters.​ You will have limited time to finish your poster on Thurs/Fri. 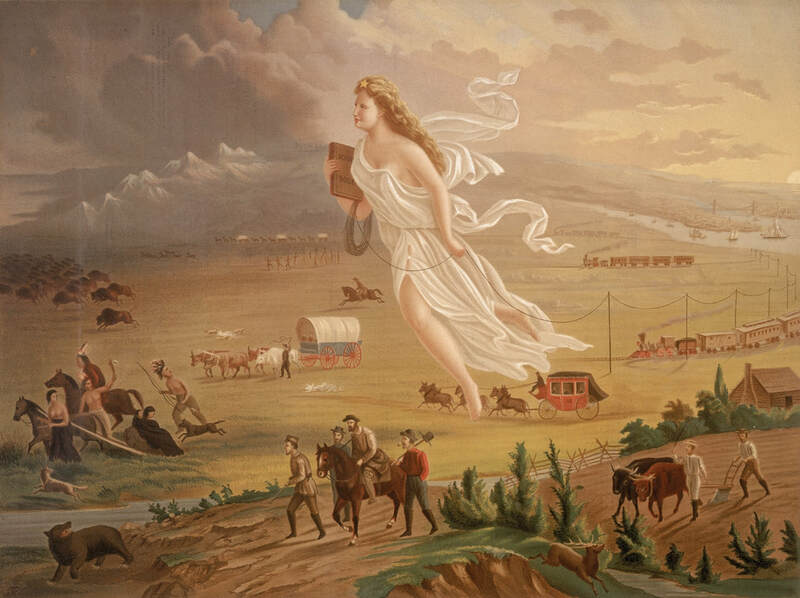 **Westward Expansion Quiz: Tues/Wed, April 2 & 3. Here is the study guide. 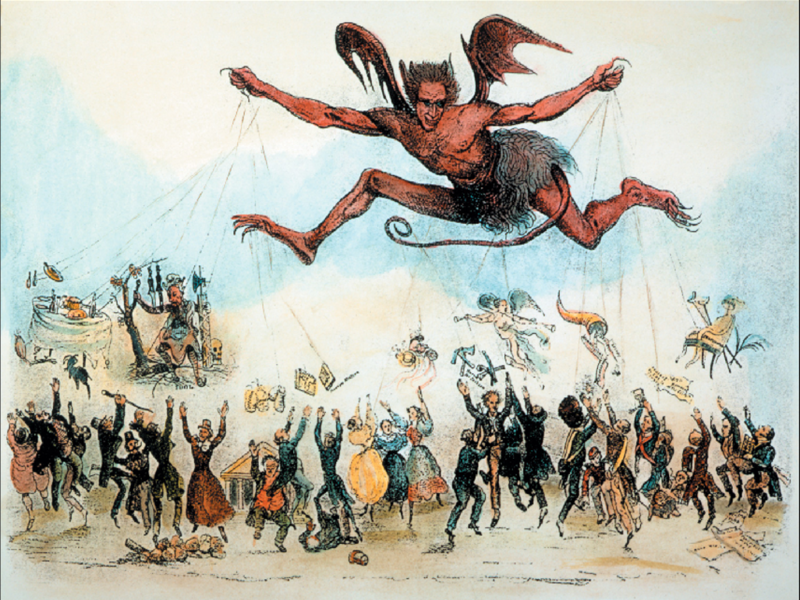 Read the “1800’s Reform Movements Poster” directions in the link above. Your group will be assigned one of the 4 different topics. 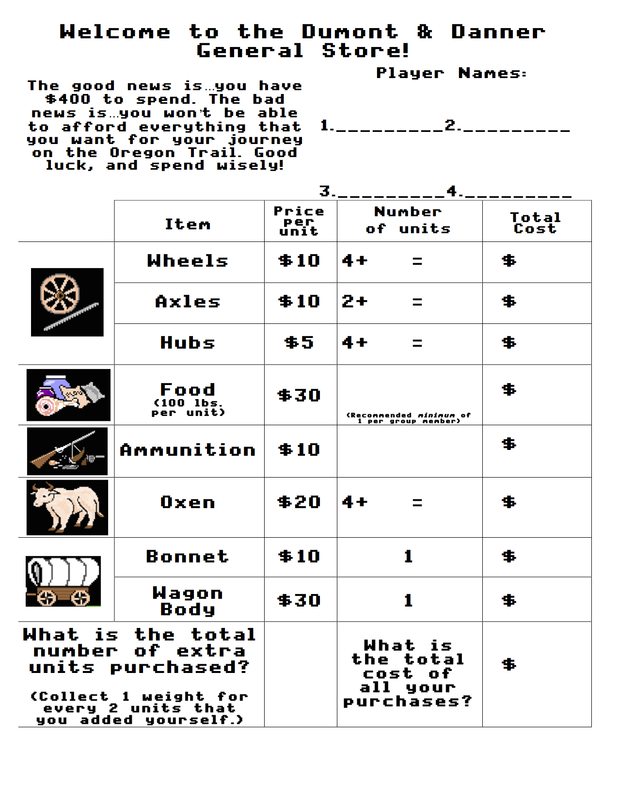 Using your textbooks (AHON chapter 12 and History Alive! chapter 18) research the reform movement that your group was assigned. ***Westward Expansion Quiz: Tues/Wed, April 2 & 3. Here is the study guide. 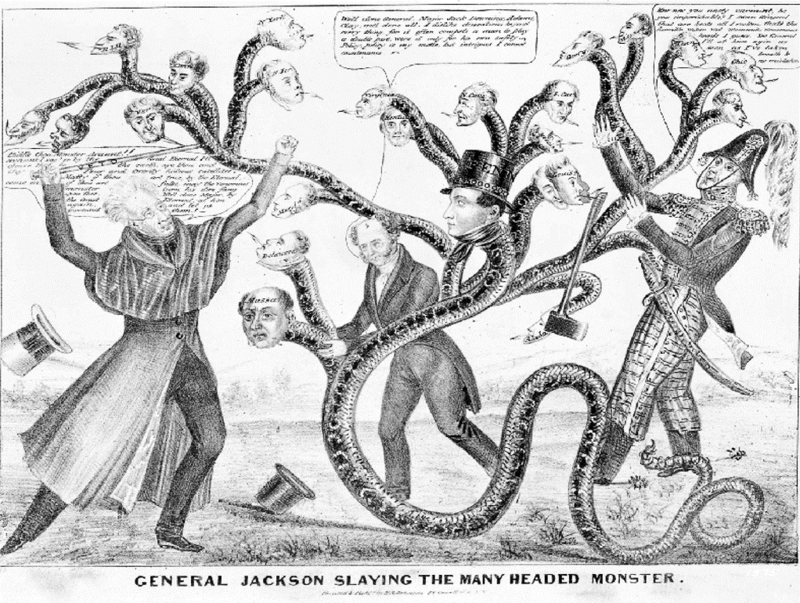 How did Jacksonian democracy, the Second Great Awakening, and transcendentalism lead to people wanting to reform society? ***8th Grade Activities Form: get it signed by parent and turn it in by 3/14. I will accept it after Spring Break for a reduced grade. ***Westward Expansion Test: Tues/Wed, April 2 & 3. Here is the study guide. Read History Alive! 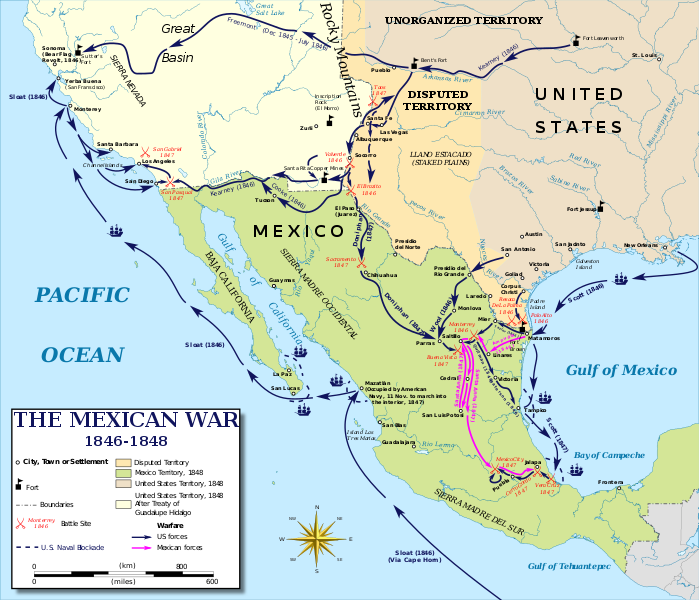 15.3 “Texas” and 15.5 “The Mexican-American War.” Pages 283-285 & 288-290. Cite which page and paragraph you found the information in for each statement. What did the Treaty of Moultrie Creek require the Seminole Indians to do? Read this sentence from the article: While they were viewing the land, the chiefs were persuaded to sign a treaty agreeing to move. What does the word persuaded mean? Explain how Osceola resisted the Federal government's plan to relocate all Native Americans to land west of the Mississippi. 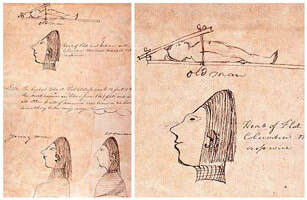 At the end of the Second Seminole War, what happened to most of the Seminole Indians? 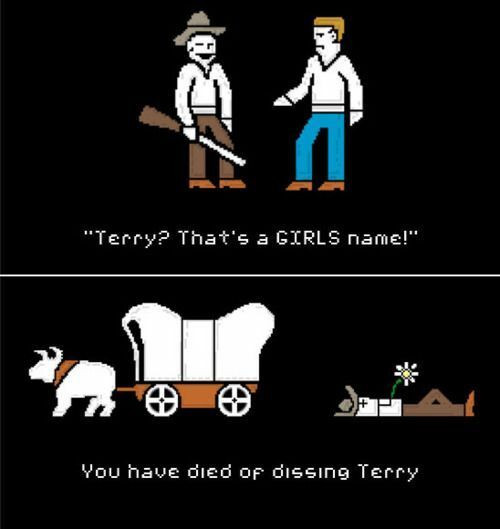 *** Play a round of the original Oregon Trail video game before Tues/Wed next week. This will help your prepare for the inclass activity that day. ***If Absent: Read Chapter 15.4 "Oregon Country," pages 286-287. Write a 1-2 paragraph summary of the section. 1. Watch the buffalo hunt scene from the film Dances with Wolves. Pick one of the following groups of people who lived in the West (topics) and complete one of the activities below. 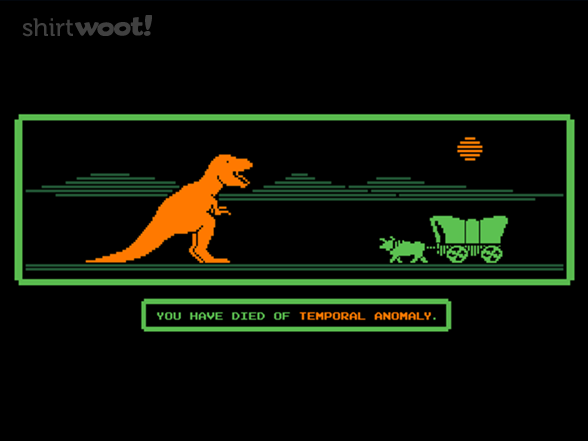 Look in the “Life in the West” unit in Lesson 16 in the History Alive! textbook (pages 297-311) or TreeOfEd (Tab 7 Moving West) to gather information about your group of people. 4. Poetry. Write poetry that captures the content and feelings expressed by the people associated with your topic. 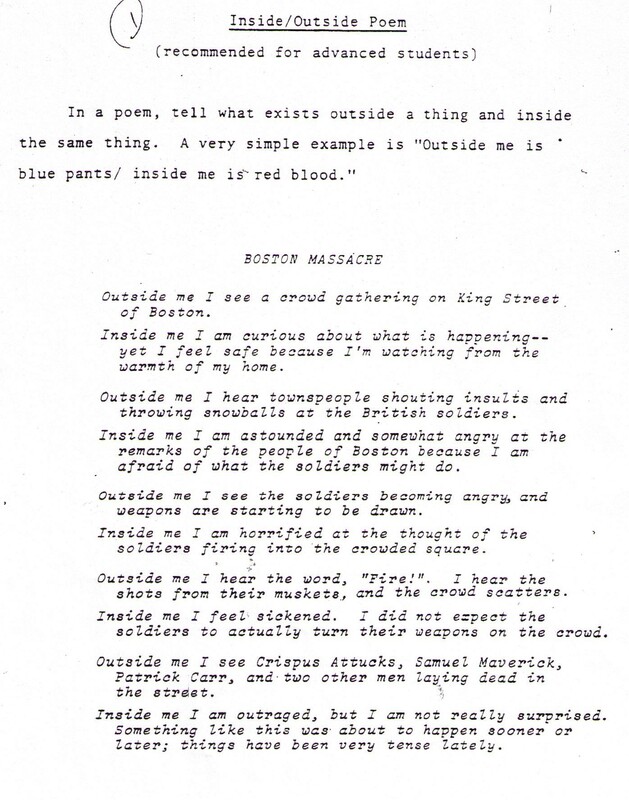 An “Inside/Outside Poem” format would be ideal for this activity. Or write another style of poetry that is appropriate to describe your group. 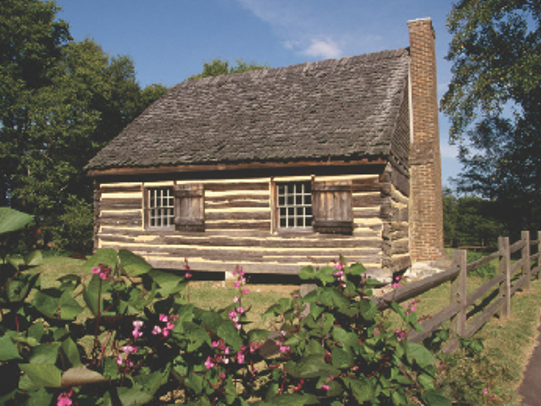 "4- Jefferson's Domestic Affairs" Read the article in the link and answer the 4 questions. A. Start by reading the introduction page. Then do the Gateway map task on the #17 Westward Expansion map that you colored last class period. B. Go out and explore the Milwee courtyard to find the QR codes for Elements, Friend or Foe, and Wildlife. Scan them with an iPad/smartphone QR code reader and do the assigned tasks. There are 3 QR tasks outside; the order of completion does not matter. 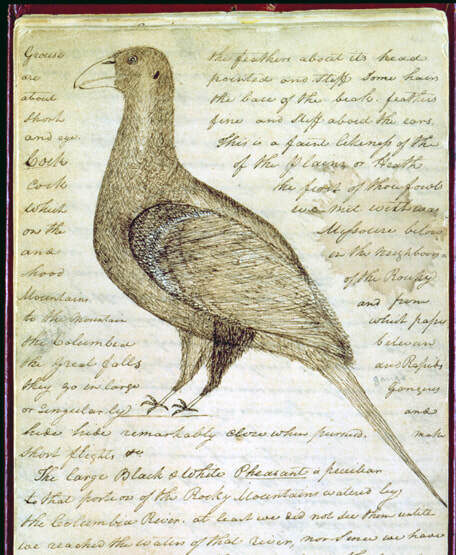 The images above are examples of journal entries made during the Lewis and Clark expedition. 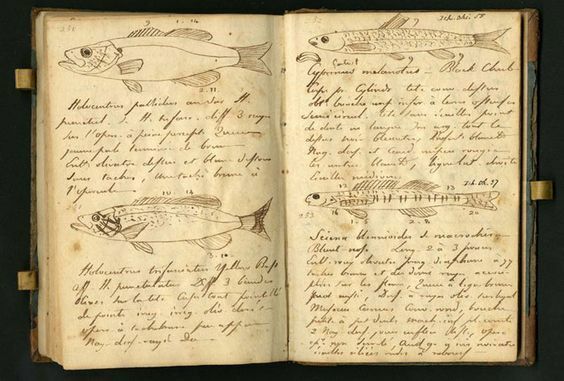 Click this link if you would like to examine more of their journals. ​Congratulations to the following students who won awards at the county history fair! The awards ceremony is Thursday, March 7th from 5:30 to 6:30 PM at the SCPS Educational Support Center Board Room, 400 E. Lake Mary Boulevard. 2. 3rd Quarter county history exam. Color and label the outline map using the completed map below as a guide. Use highlighters or color pencils to color the map. 1. 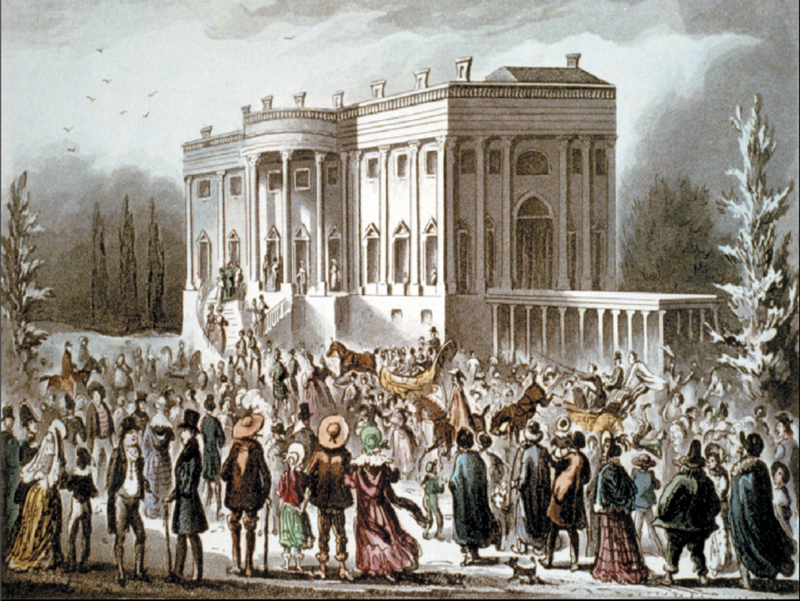 Why was the Mississippi River so important, and why did Jefferson want to buy New Orleans? 2. 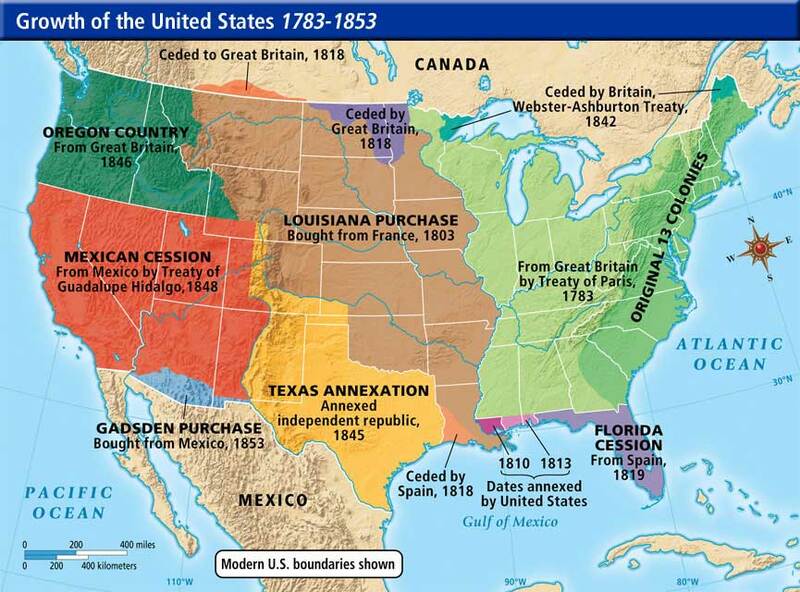 Why was the Louisiana Purchase considered such a great deal? What was included in the purchase? 3. If you were Jefferson's advisors, would you have made the deal? Why or why not? 4. What was the purpose of the Lewis and Clark expedition, and do you think they were successful? Why or why not? As you watch, take notes on "reasons to go west" and "hardships in the west" and answer questions 1 and 2. What was Sacagawea’s role during Lewis and Clark’s expedition? What did the members of the Donner Party use as a food source when they were trapped in the mountains during the winter? 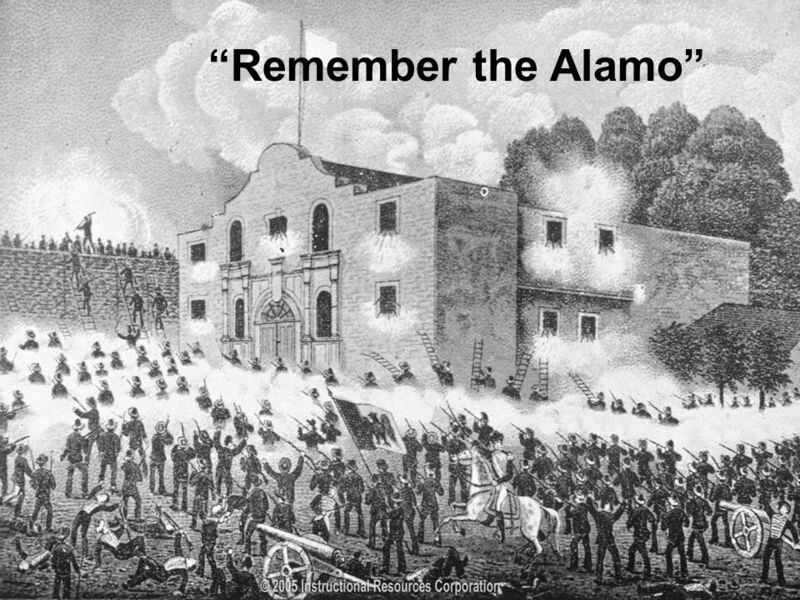 Before Texas was annexed by the United States, it was controlled by which countries? What happened to the population of California after gold was discovered in 1848? 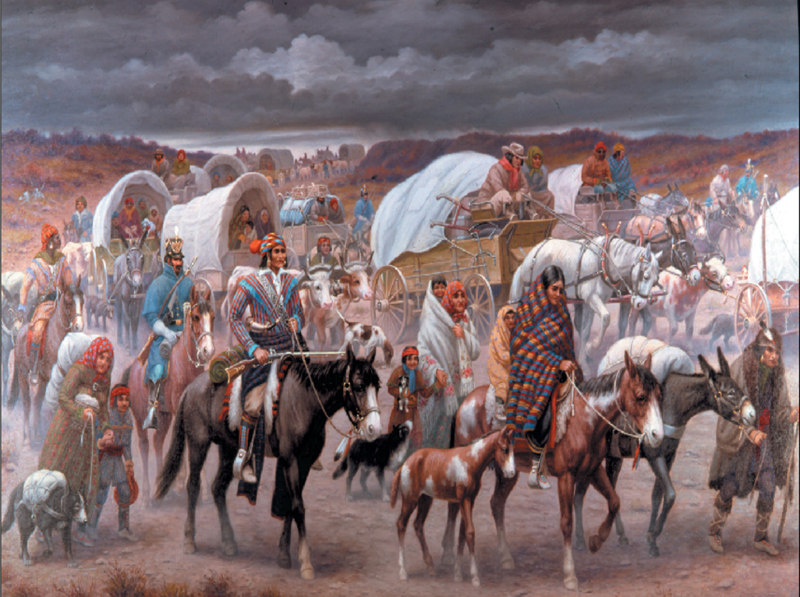 During the time of Andrew Jackson, why were American Indians living in the Southeast (such as Seminole and Cherokee) forced to move west? How did steamboat transform life in the American midwest? *If you are absent, you can watch the video on Amazon Prime or Youtube (see below.) America: The Story of Us, Episode 3 "Westward"
1. Review Andrew Jackson True/False Statements #15. Read History Alive! Chapter 14 to find out if each statement is true or false. If the statement is false, correct it. Due Tues/Wed. As you watch, take notes on "reasons to go west" and "hardships in the west" and answer question 1. 3. Review Andrew Jackson True/False Statements #15. 2. work on Andrew Jackson True/False Statements #15. 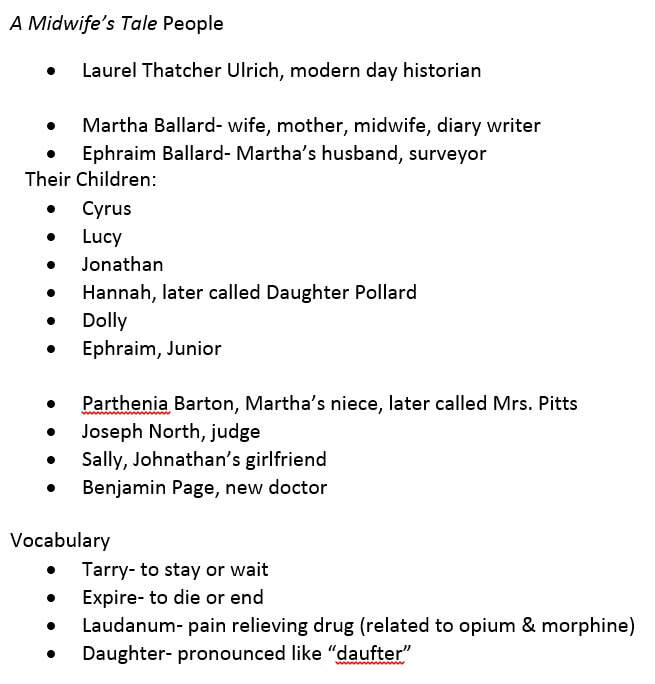 Paragraph 1- Thesis: This is where you will introduce the 4 topics, how you learned about them in the past (the video) and make your claim about which one you think has changed the most from Martha's time period (1800) to now. Paragraph 2: Explain why you think that your chosen topic has changed the most from 1800 to now. Make sure that you include information from BOTH life in 1800 and life today. Please type your paper, if you can: 12 point font, double-spaced, standard margins. ​Congratulations to the students who placed at the Milwee History Fair! They will be representing Milwee at the Seminole County History Fair on Saturday, March 2 at Jackson Heights. HW: Andrew Jackson True/False Statements #15. 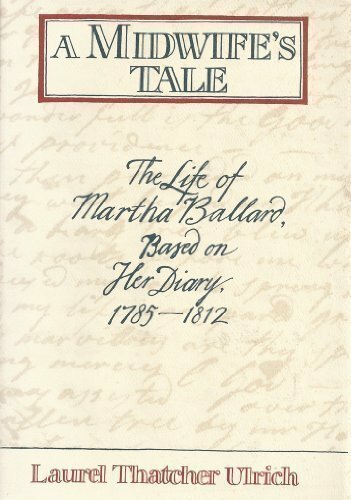 Based on the Book A Midwife's Tale by Laurel Thatcher Ulrich about the life of Martha Ballard from 1785-1812. As you watch the video, take notes on what you learn about these four topics. If you are absent, the video is below (on YouTube). We stopped watching at the 1 hour mark. If possible, please type your paper. 12 point font, double-spaced, standard margins. ***If you are absent, You can watch the movie below/ on Youtube or do one of the alternate essay topics that are listed on the second page of the directions. In your groups, make a list of all of the women that you have learn about in this class so far this year. February 12 & 13: Ms. Wolfrum will be in Ms. Day's classes to help with high school registration ​. Please bring your registration form and curriculum guide. High school counselor from Lyman will review general high school information. Identify images that you think are symbols and write what you think they mean. Test: Unit 7 New Nation and Folder Check #'s 1-11 will be in class on Tues/Wed. Here is a study guide for the test. 2. Meet with Ms. Wolfrum to review high school registration info​ and graduation requirements. 5. Watch the foreign affairs videos posted below. 3. Lyman High School curriculum guide and (non-engineering) Freshman registration form distribution. ​​A. Review Washington Creates a Foreign Policy. ​B. Dilemma 1: What Should President Adams Do to Protect American Ships? Test: Unit 7 New Nation. Here is a study guide for the test. ​3.Hamilton Cabinet Battle #1. What was the argument about? Who won? 5. Hamilton " I Know Him"
Page 227 in History Alive! 1. 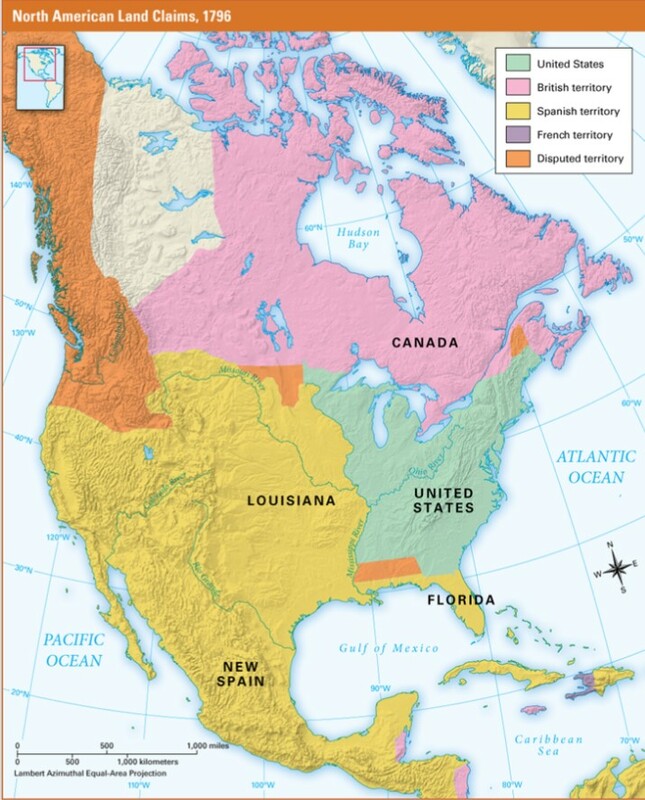 Which countries claimed the most territory in North America in 1796? 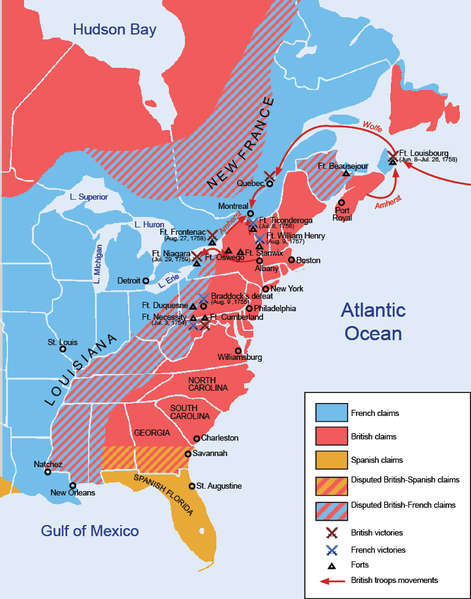 2. Who were the United States’ potential enemies in 1796? Why? 3. 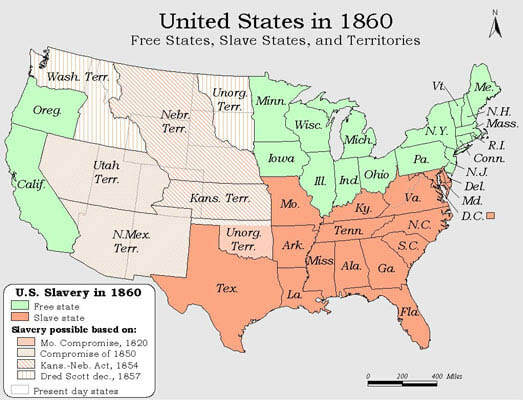 What geographic advantages did the United States have? What geographic disadvantages did it have? 4. 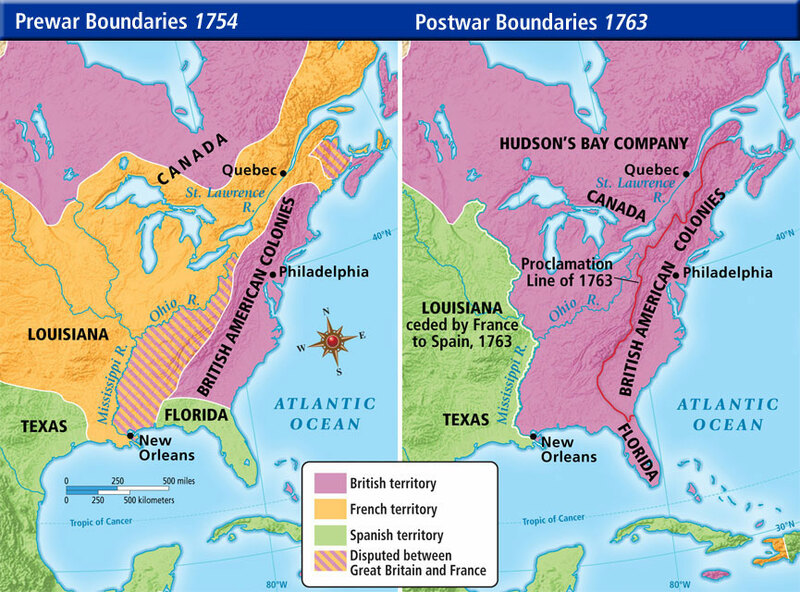 If you were president in 1796, what steps would you take to protect the United States from its neighbors? Read pages 225-226 in History Alive! 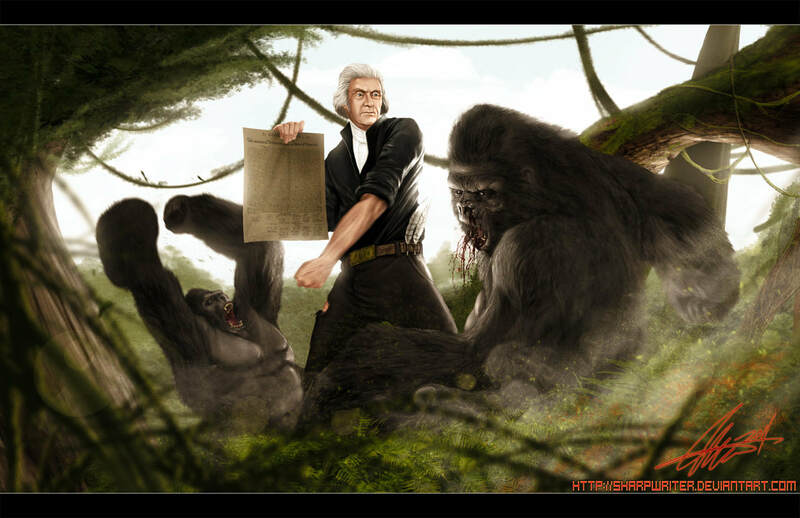 and summarize George Washington’s Foreign Policy. Finish for HW if needed. 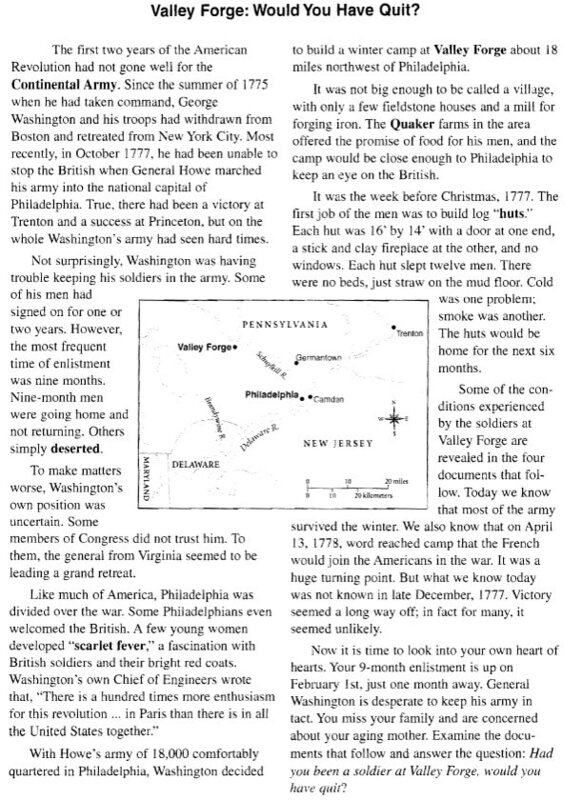 Read pages 209-214 in the History Alive! textbook. Read the statements about the 2 men and match each statements to the man it describes and write it in the correct category on your worksheet. 1. 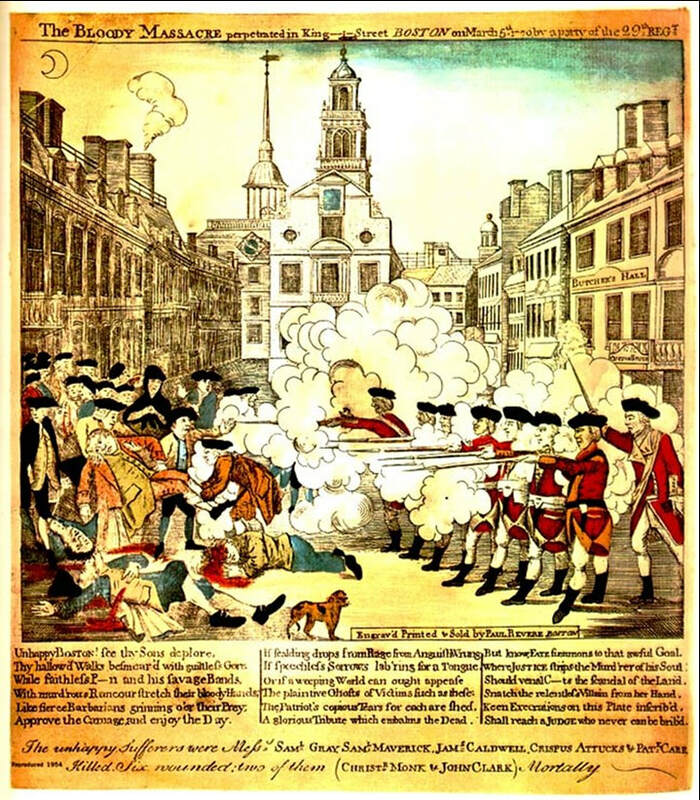 Why did Congress pass the Alien and Sedition Acts, and what was the purpose of the acts? 1. Passport Unit 7 Checkpoint 1. 2. 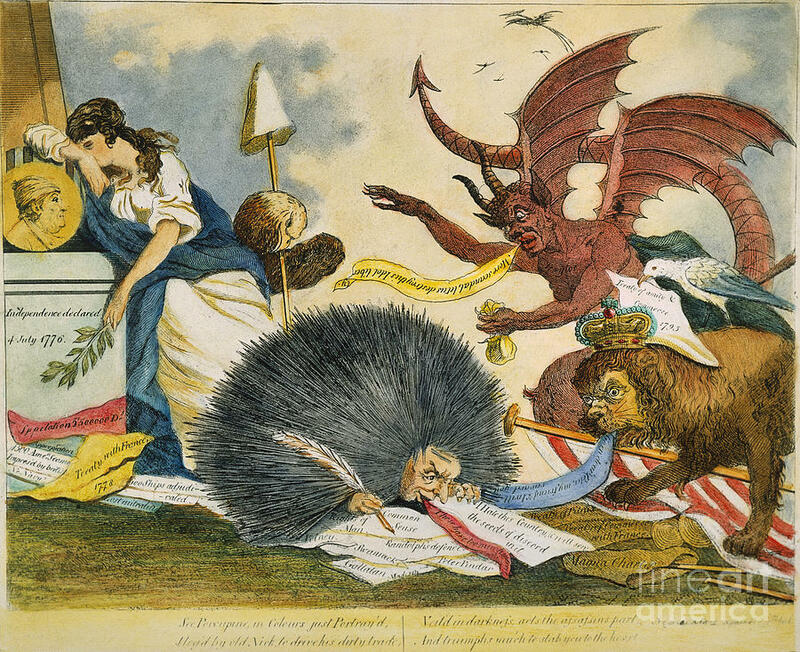 Hamilton "What'd I Miss"
What was Jefferson doing while the Constitution was being written? What is his role in the new government? Read the Intro, section 1 and 2 (pages 205-208 in HA!) and answer the questions below. 1. What were the first three departments in the President’s cabinet? 2. Who were the secretaries (heads) of each department? 3. 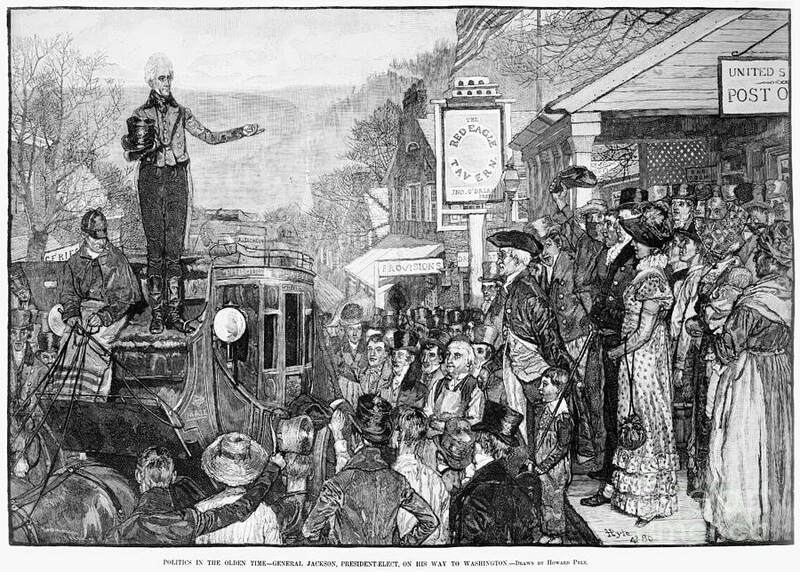 Describe the Whiskey Rebellion. 4. 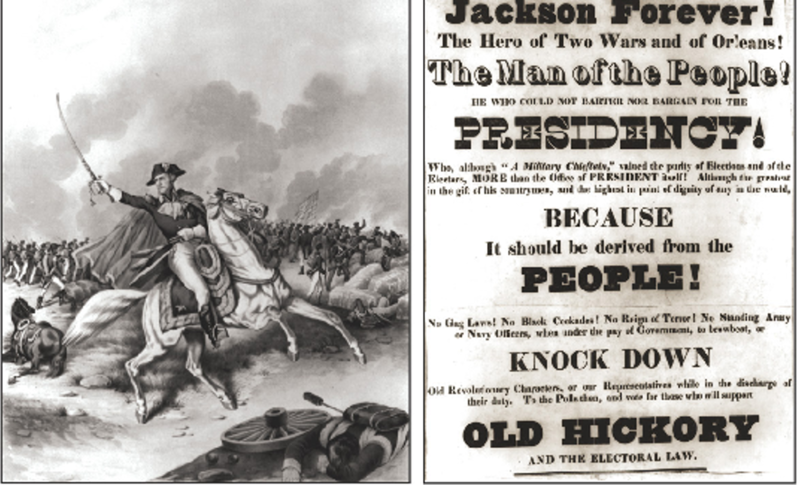 How did Jefferson and Hamilton differ in their viewpoints of the Whiskey Rebellion? 5. Describe the French Revolution. 6. How did Jefferson and Hamilton differ in their viewpoints of the French Revolution? 7. In Washington's Farewell Address, what did he mean when he referred to the threat of "spirit of party"? ​4. Hamilton​​​ "Cabinet Battle 2." ​​5. Hamilton “One Last Time” Describe the relationship between Hamilton and Jefferson. What advice did Washington include in his Farewell address to the country? 1. finish Present NHD projects in small groups. 2. Review U.S. Geo Map Quiz #5. If you earned less than a C, you need to retake the quiz by Friday, Feb. 8th. 5. Listen to Hamilton "Cabinet Battle 2." 1. Present NHD projects in small groups. Read the text and examine the map/graph on pages 202-203 of HA! textbook. Answer the Geography Skill and Critical Thinking questions 1-11. Finish for HW, Due T/W, 1/29-30. 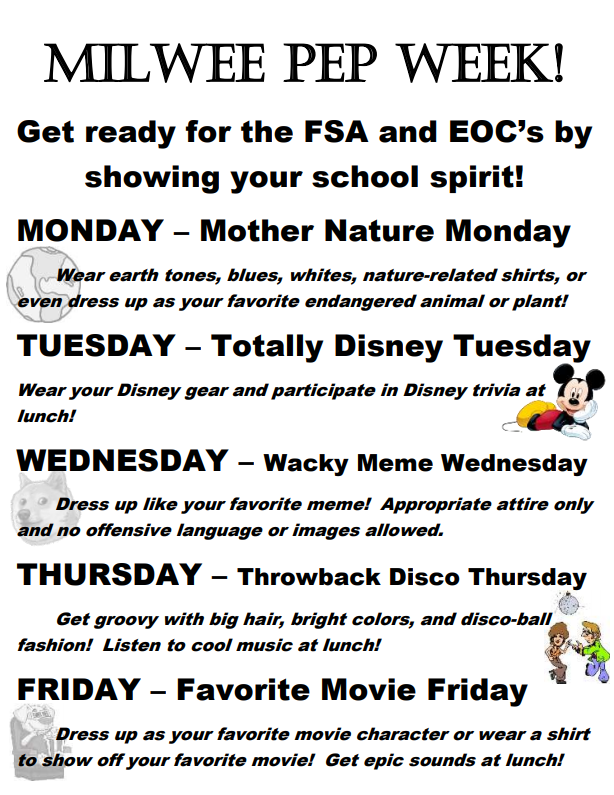 Vote for 8th Grade Dance Theme by Friday, 1/25. To preview the new unit, students will read a statement about GW and move to the identified side of the room to answer the question. Some statements are T/F. Others are multiple choice. Student will use previously learned content knowledge or educated guesses to help decide their answers. Afterward, watch a short video about GW and then review the statements and answers. Learning Goal: Students will understand the causes, compromises, and consequences of the Constitutional Convention in 1787. No School on Monday 1/21/19! NHD History Fair project due January 22/23. Please examine the grading rubric before you finish your project. If you are absent answer the attached questions. The U.S. Constitution can be found here. "Pop Quiz": label the 50 states on a map. Use the map in your Passport to study. Quiz date TBD (POP! ), but will be within 1 week. SheppardSoftware.com is a great website to help your learn the locations of the states. I recommend states level 2 or 3. ​3. 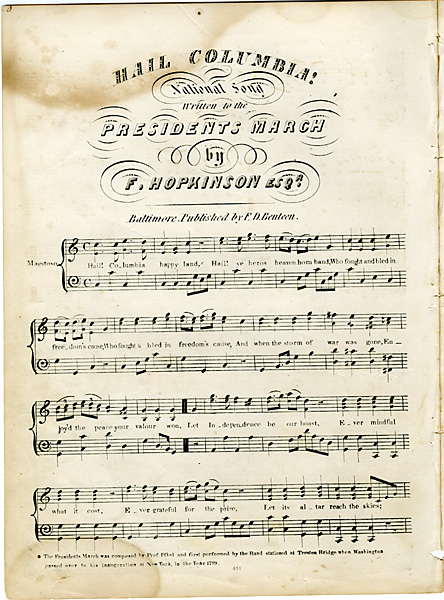 Listen to Hamilton Mixtape "Cabinet Battle #3" (Demo) What information in both in the song and in sections 6 and 7 of Creating the Constitution #4? "Pop Quiz": label the 50 states on a map. Use the map in your Passport to study. Quiz date TBD (POP! ), but will be within 2 weeks. SheppardSoftware.com is a great website to help your learn the locations of the states. I recommend states level 2 or 3. FINISH FOR HW by Thurs/Fri. "Pop Quiz": label the 50 states on a map. Use the map in your Passport to study. Quiz date TBD (POP! ), but will be within 2 weeks. 1. study for the "Pop Quiz": label the 50 states on a map. Use the map in your Passport to study. Quiz date TBD (POP! ), but will be within 2 weeks. SheppardSoftware.com is a great website to help your learn the locations of the states. I recommend states level 2 or 3. 2. New history folder due today. 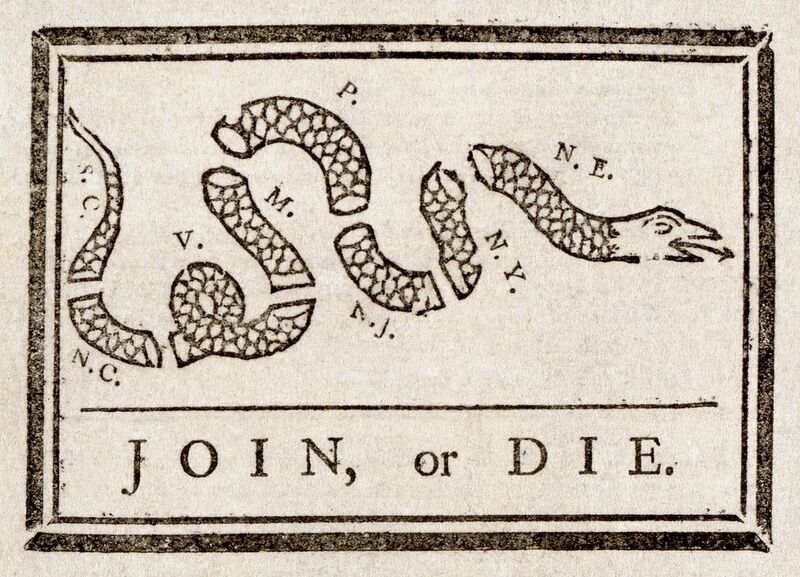 Get #2 Articles of Confederation out of your old folder. Turn in your old 1st semester folder. Analyze the maps and read the text on pages 142-143. Label the map and answer the questions on ISN pages 70-72. New history folder due by Friday. 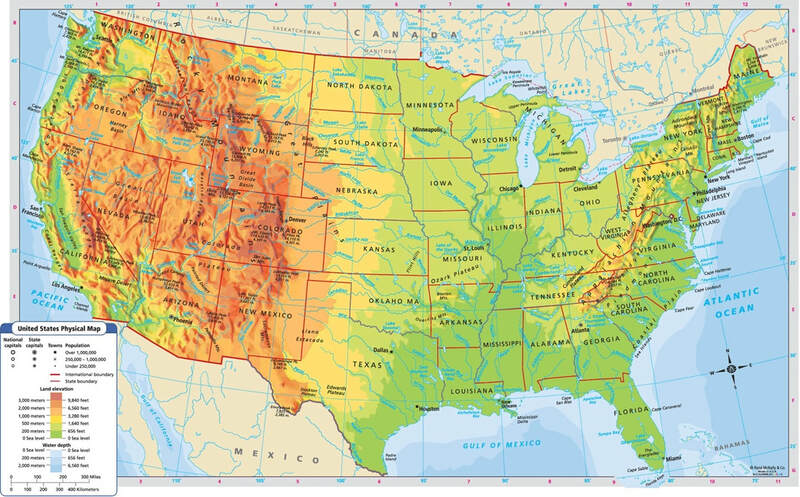 "Pop Quiz": label the 50 states on a map. (use the map in your Passport to study) Quiz date TBD (POP! 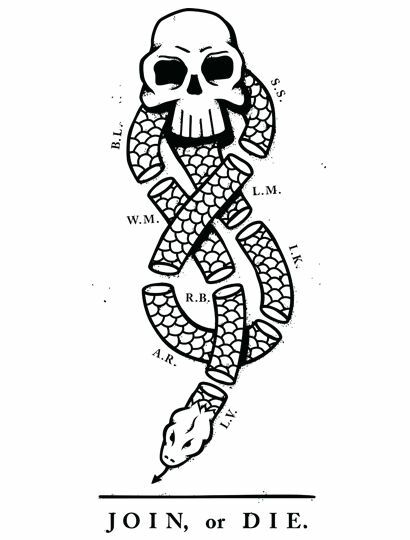 ), but will be within 2 weeks. 3. Examine the photo on page 140. What major events occurred in this building? ​ Read lesson 8, pages 145-159. Complete the reading activities in ISN pages 73-78. 3. New history folder for the 2nd semester. Write "You name" and "history" on the cover. Turn in your old folder. Both due by Friday. Learning Goal: Students will understand the causes, course and consequences of the American Revolutionary War (War of Independence) from 1776-1783. Here is the schedule for the last week before winter break, December 17-20, 2018. 1. NHD Presentation Categories: Tell the teacher which one you selected. 2. Hamilton: "What Comes Next?" and "Non-Stop"
3. 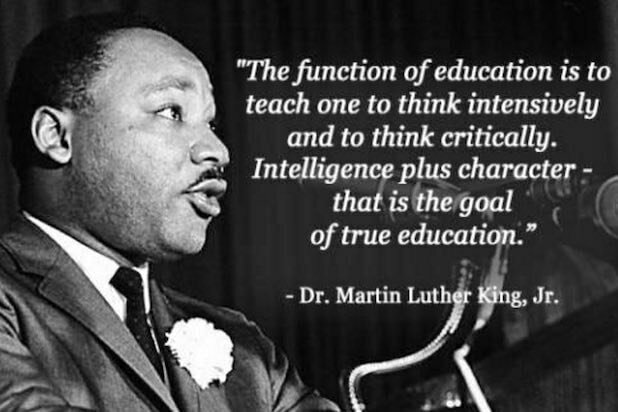 Work on NHD Project: find primary sources that support your thesis/impact. Read the directions for your presentation category. Read the article on Tree of Ed and watch the short video and then answer the 4 questions. 5. Hamilton: "What Comes Next?" and "Non-Stop"
Make an edible example of something that we have learned about in history class so far this year. It can be a cookie, cake, brownie, Rice Crispies treat, or other tasty dish that you decorate. ***The 2nd Quarter Exam will be on Thurs/Fri, December 13 & 14. Here is the study guide! 1. 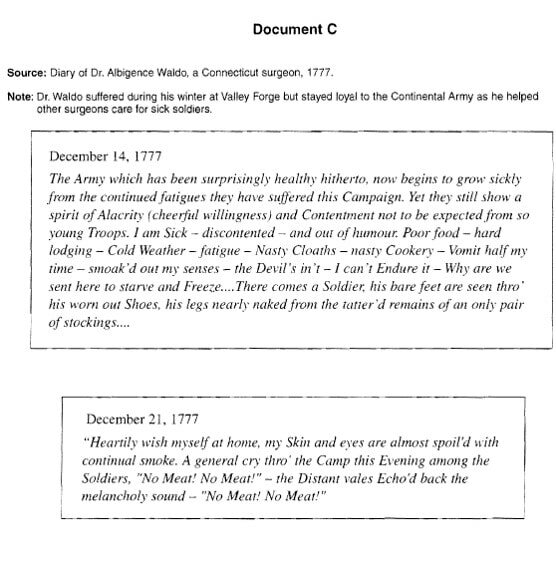 DBQ "Valley Forge: Would You Have Quit?" 6. Hamilton: "What Comes Next?" and "Non-Stop"
1. HW Due: NHD Thesis. Proofread and revise as needed before turning in. 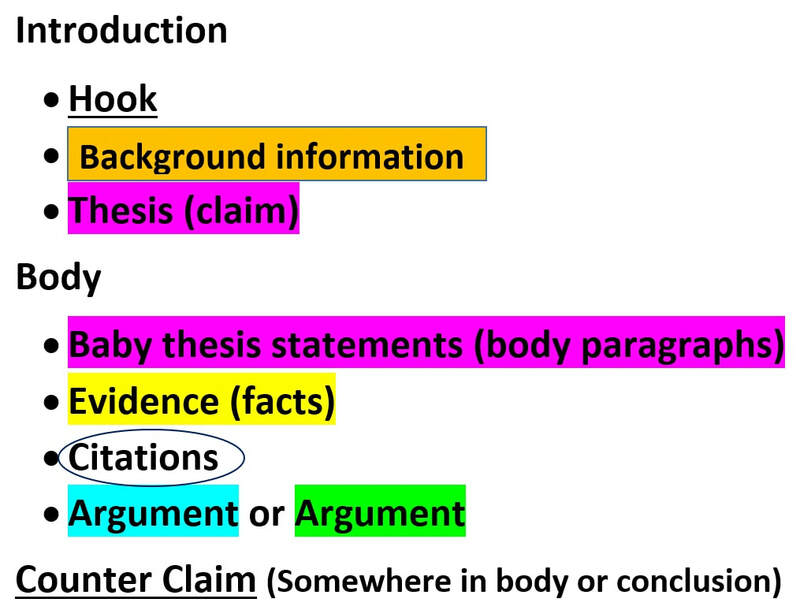 G. Rainbow highlight your essay before turning it in. 2. 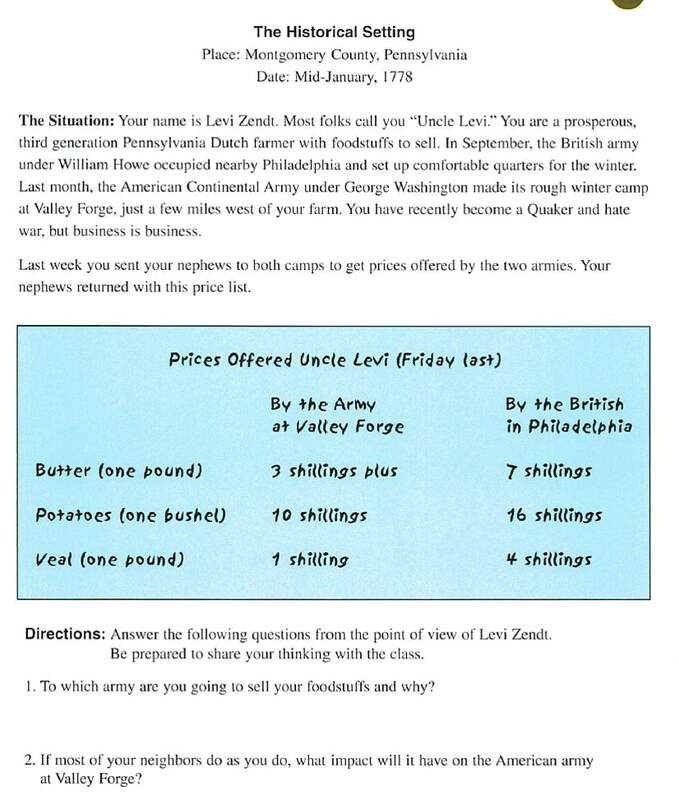 DBQ "Valley Forge: Would You Have Quit?" F. You will write the essay in class on Monday. You cannot have the Docs out when you write, so make sure your analysis sheets are complete! 1. Passport Unit 5 checkpoint 3. 3. 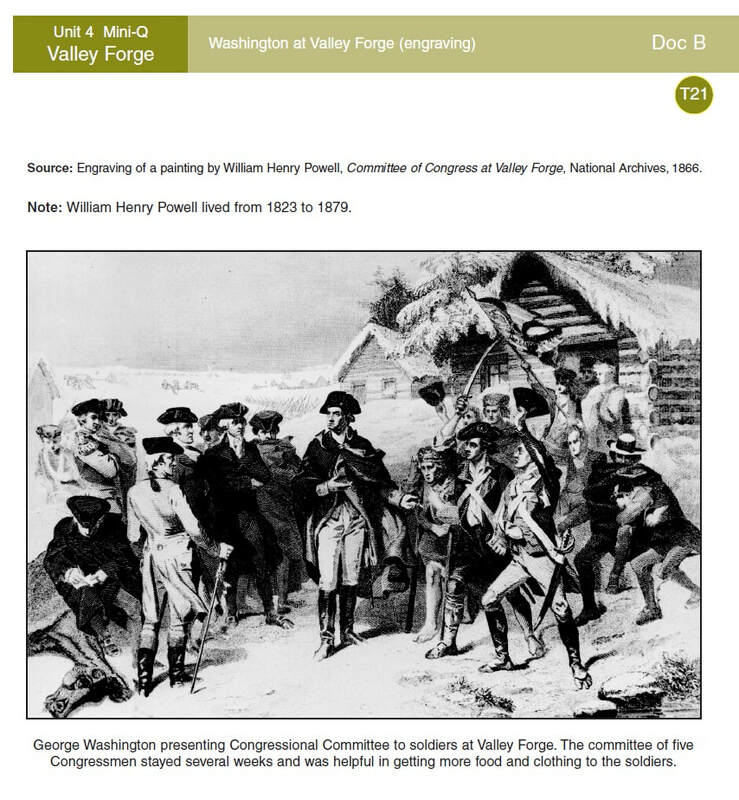 DBQ "Valley Forge: Would You Have Quit?" 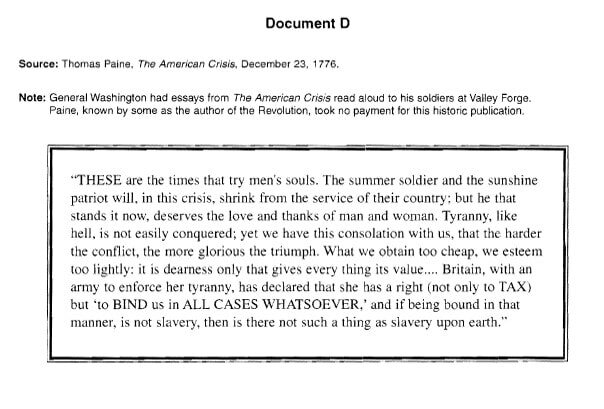 ***HW: Finish the DBQ Background Essay Summary. Due Monday! ***NHD Research: Historical Context and Timeline Due Monday, Dec. 3, 2018. Read the information in the NHD Research tab above. 1. Capture the Flag: Revolutionary War Style. We'll be outside most of the period reenacting the American Revolutionary War through a game of capture the flag. If you are absent, read the lesson directions to get an idea of what you missed. ***We'll be running around outside on Thursday/Friday. Dress appropriately for the weather and running. You can watch the video on Amazon Prime or through the Youtube link below. 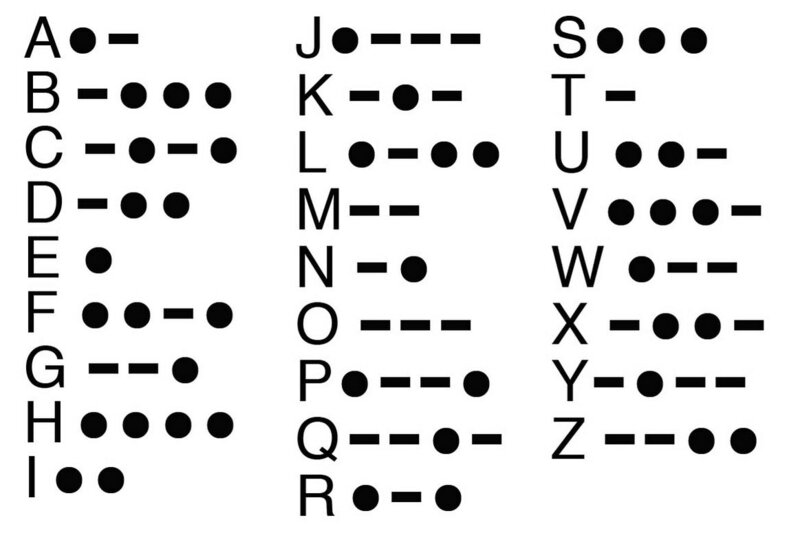 ​ 5. What were some of the innovative ways Americans fought disease during the Revolution? 6. Describe Washington’s spy network. 7. Describe at least 2 major reasons the Americans won the Revolutionary War? As you read, highlight the text. •What decision are you facing? 1. What advantages did the British have over the Americans during the Revolutionary War? 2. Who was Daniel Morgan, and what role did he play in the American Revolution? 3. How did change in the construction of guns help the Americans during the Revolutionary War? 4. 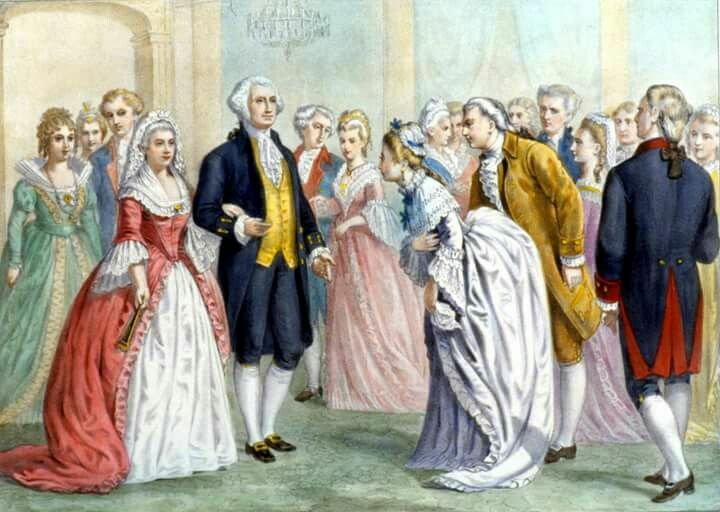 Why was it important for the Americans to win the support of France during the Revolution? 5. What were some of the innovative ways Americans fought disease during the Revolution? 2. NHD Research: Historical Context and Timeline Due Monday, Dec. 3, 2018. Read the information in the NHD Research tab above. 3. NHD Topic Selection. Finish conference with teacher. Use a sticky note to post your topic on the wall. Start this assignment and finish it in class on Thurs/Fri. ​5. Work on your NHD project for the remainder of the period. 4. NHD Topic Selection. Conference with teacher. Use a sticky note to post your topic on the wall. 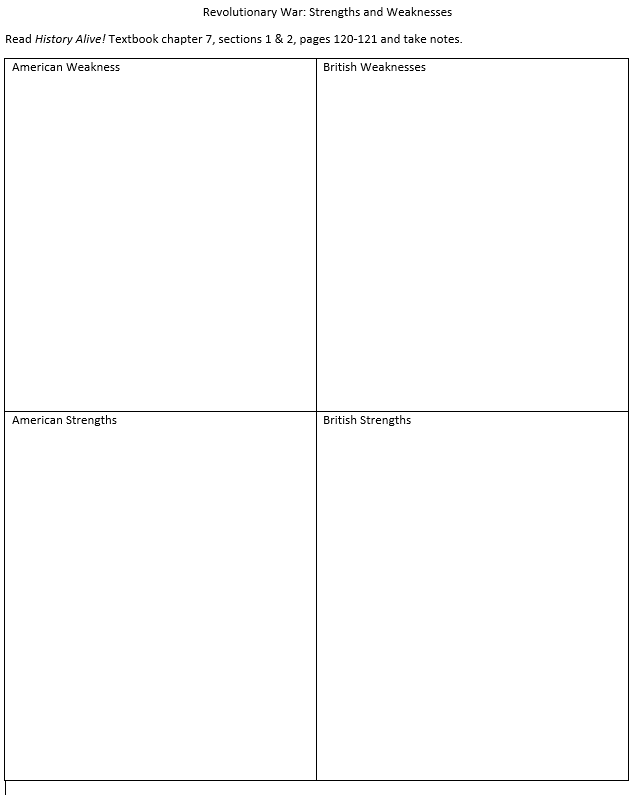 Students will understand the American colonial reactions to British policies between 1763- 1776. 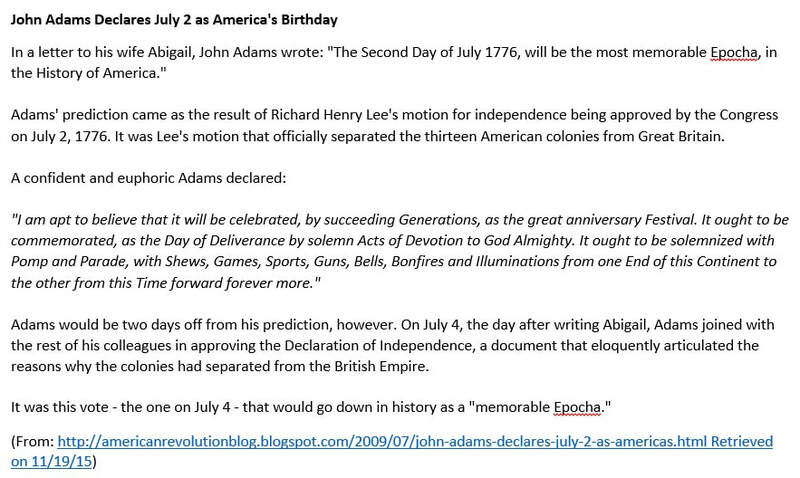 ​Students will understand the structure, content, and consequences of the Declaration of Independence. 1. Conflict in the Colonies DBQ/Socratic Seminar #29. Round 1: How did the relationship between the American colonists and Britain change after the French and Indian War? Round 2: Why did many colonists feel justified in waging war and declaring independence from Britain? While you are in the outside circle, fill out the feedback form. After both rounds, answer the 3rd question on the feedback form. 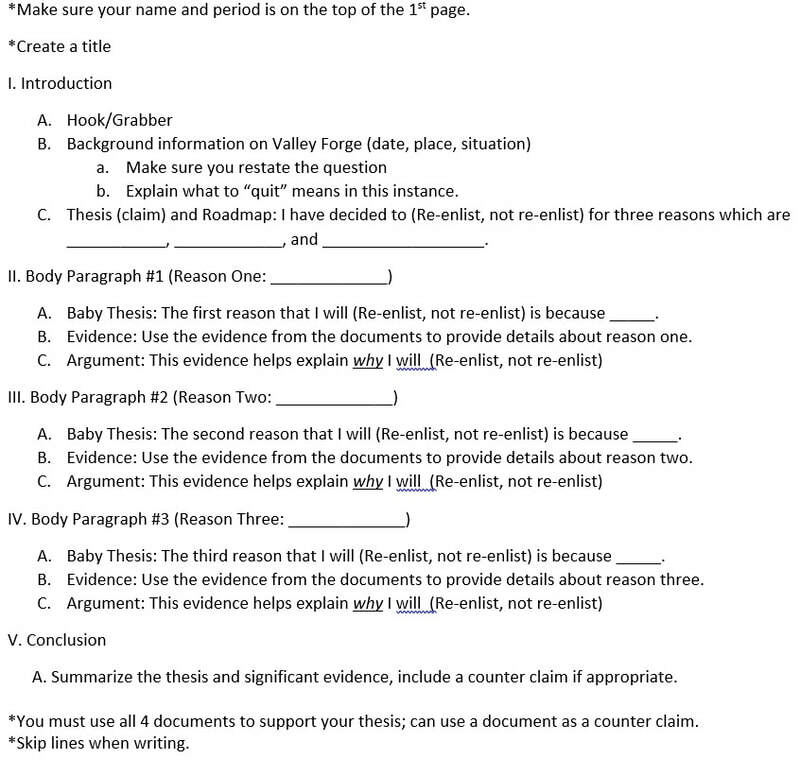 HW: Finish the DBQ/Socratic seminar document analysis steps 1 & 2. The seminar is on MONDAY! 1. History Passport: “Unit 3 Conflict” checkpoint 3 and the Central Questions. 3. Fun Folder Check #’s 19-30. on eCampus. 4. Test: Conflict and D.o.I #31. 5. Conflict in the Colonies DBQ/Socratic Seminar #29. Continue working on steps 1 & 2. Finish for HW, if needed. The seminar will in class on MONDAY! 6. NHD Project. If you are done with DBQ steps 1 & 2, you should research your history fair topic for the remainder of class. Listen to and read the lyrics for the following 3 songs and answer the questions. How does this song connect to what you already know about loyalists and Patriots? What event is he reacting to? Which historical events are referenced? What are Angelica's feelings about the Declaration of Independence? What qualities are the sisters looking for in their future husbands? The seminar has been moved to Monday 11/12. Question: How did the changing relationship between the American colonists and Britain lead to the colonists feeling justified in waging war and declaring independence from Britain? 2. Election Day! Student government elections and the mock election for Florida governor and senator. View the slide show and watch the video before you vote. ​Question: How did the changing relationship between the American colonists and Britain lead to the colonists feeling justified in waging war and declaring independence from Britain? ​You will have time to finish this in class on Tues/Wed. The seminar will be in class on MONDAY. HW: Your NHD project overview worksheet #25 needs to be signed by a parent and returned with your topic selection questions (and optional partner selection) on Monday, Nov. 5. 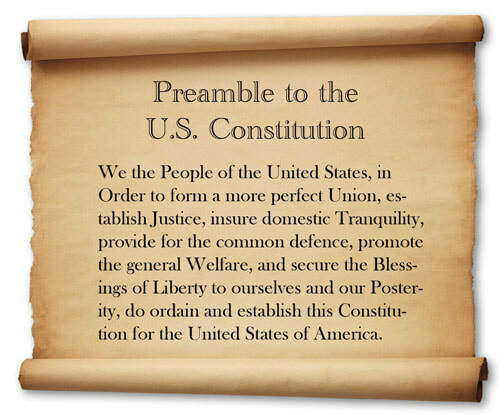 •Preamble: read 1st paragraph on 172 (AHON Textbook) . Read excerpt 1 on page 175 and match it with the rephrased sentence on the card. Write down the rephrase. The Seminar will be in class on Tues/Wed. You will have about 30 minutes to work in class on Monday. Make sure you are ready to discuss all of the documents on Tues/Wed. Read “The Shot Heard Round the World” pages 152-153. 2.For what purpose did the British troops leave Boston and travel to Concord? 3.What happened when the British troops met the Minutemen in Lexington? 4. 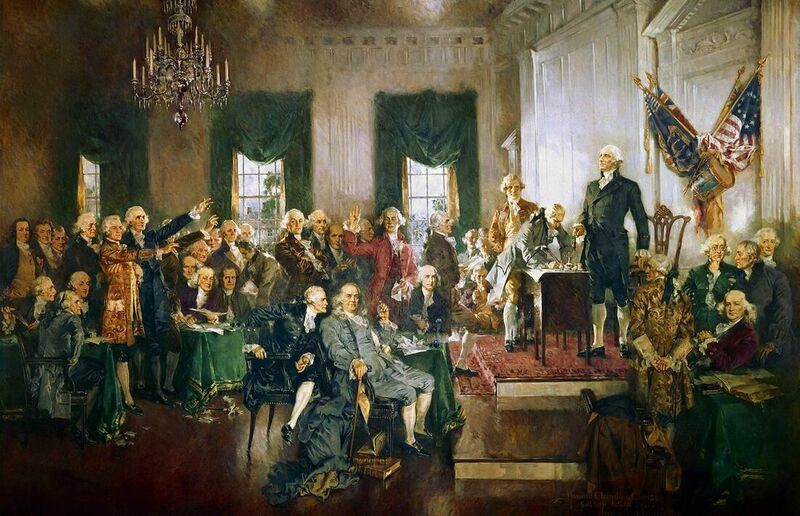 Second Continental Congress: What steps did Congress make to prepare for war? 5. 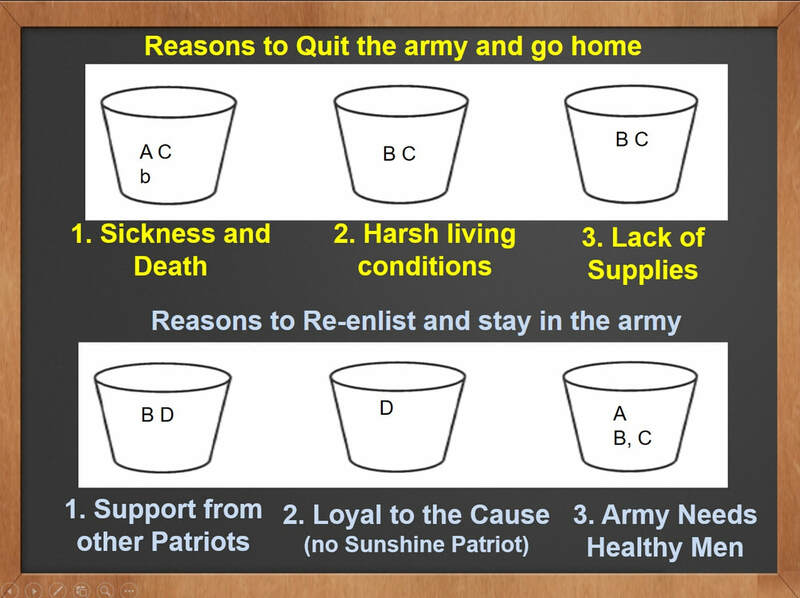 Patriots Against Loyalists: Make a t-chart that contrasts Patriots and Loyalists. 6. Petitioning the King: Describe the Olive Branch Petition and how did the King respond to it? 7. Battle of Bunker Hill: Even though the battle was lost, what positive result for the American troops came from the battle? Watch and answer questions 2-7. Read and discuss the Theme Narrative (pages 8-9 of the Theme Book) to have a better understanding of the annual theme and the types of topics that relate to the theme. Examine the sample topic lists. HW: Your NHD project overview worksheet #25 needs to be signed by a parent and returned with your topic selection (and optional partner selection) on Monday, Nov. 5. For now, one or two sentences for each question. Later, after you have had time to more research, you will need state more in depth answers to your questions. ​Watch and answer question #1. Your Project overview worksheet needs to be signed by a parent and returned with your topic selection (and optional partner selection) on Monday, Nov. 5. 3.Finish if needed: Mapping Review and Preview: Review the European Settlements map on page 39. The, examine the "Setting the Stage for Revolution" maps and read the text on pages 84-85 in HA! textbook. Read pages 88-89 in the History Alive! Textbook. Put the 6 events in chronological order and write them down on notepaper. Read page 90 in the History Alive! Textbook and answer the following questions on notebook paper. 1. Why did the British government issue the Proclamation of 1763? 2. How did the Proclamation restrict colonists? 3. Describe how some colonists reacted to the Proclamation. 4. Which country controls the eastern part of North America? 5. Which country controls Louisiana territory? 6. Which long river is the western boundary of the region controlled by Britain? ***Revise your English Colonies Poster by Friday, if needed. 1. Pass back papers and organize your U.S. History folder. 2. ​Passport Unit 2 "In this unit questions"
4. Mapping Review and Preview: Review the European Settlements map on page 39. The, examine the "Setting the Stage for Revolution" maps and read the text on pages 84-85 in HA! textbook.